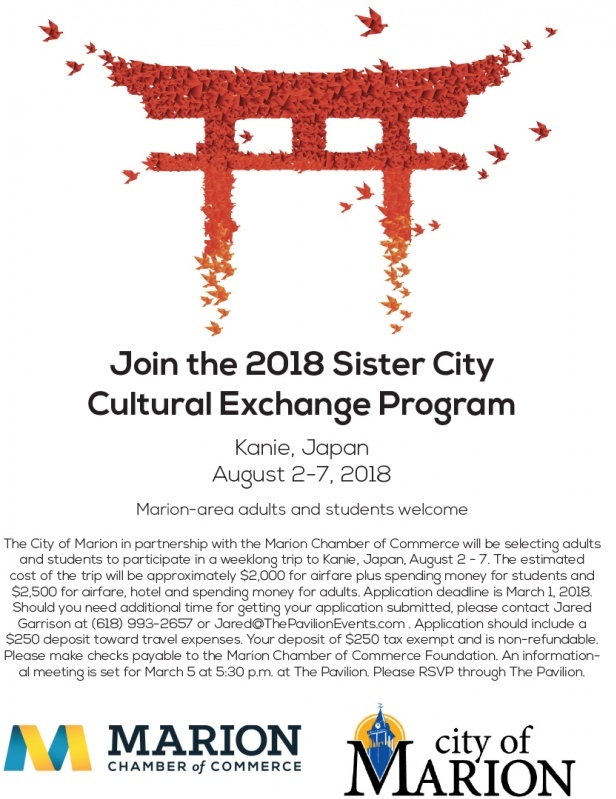 Description: The City of Marion in partnership with the Marion Chamber of Commerce will be selecting adults and students to participate in a weeklong trip to Kanie, Japan, August 2 - 7. 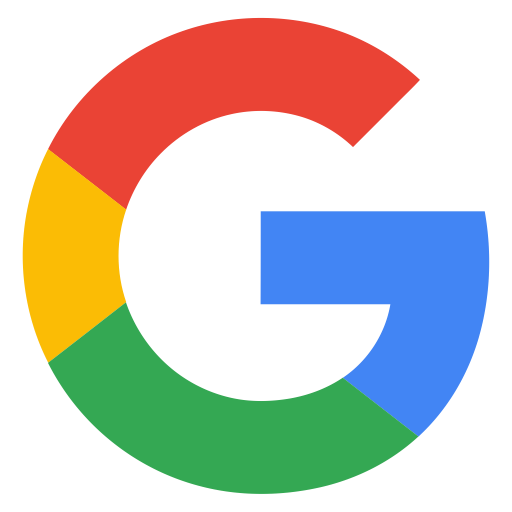 The estimated cost of the trip will be approximately $2,000 for airfare plus spending money for students and $2,500 for airfare, hotel and spending money for adults. Application deadline is March 1, 2018. Should you need additional time for getting your application submitted, please contact Jared Garrison at (618) 993-2657 or Jared@ThePavilionEvents.com. Application should include a $250 deposit toward travel expenses. Your deposit of $250 tax exempt and is non-refundable. Please make checks payable to the Marion Chamber of Commerce Foundation. An informational meeting is set for March 5 at 5:30 p.m. at The Pavilion. Please RSVP through The Pavilion. The City of Marion in partnership with the Marion Chamber of Commerce will be selecting adults and students to participate in a weeklong trip to Kanie, Japan, August 2 - 7. The estimated cost of the trip will be approximately $2,000 for airfare plus spending money for students and $2,500 for airfare, hotel and spending money for adults. Application deadline is March 1, 2018. Should you need additional time for getting your application submitted, please contact Jared Garrison at (618) 993-2657 or Jared@ThePavilionEvents.com. Application should include a $250 deposit toward travel expenses. Your deposit of $250 tax exempt and is non-refundable. Please make checks payable to the Marion Chamber of Commerce Foundation. An informational meeting is set for March 5 at 5:30 p.m. at The Pavilion. Please RSVP through The Pavilion.